Meet the dental assistants at South 40 Dental in Grande Prairie. Our team is committed to your oral health and maintaining your smile. We are always here to provide you with personalized and comfortable dental care. Welsa graduated in London, Ontario. After, she moved back to Calgary, Alberta. Welsa worked at a Denture Clinic in Lethbridge when she first moved back, then worked at the Blood Reserve for 4 years. 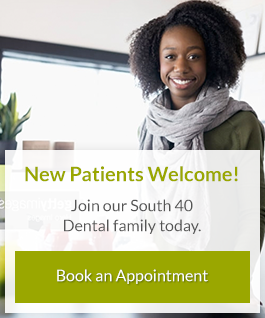 At South 40 Dental, she works closely with the dentists to give patients the most informed and comfortable dental experience. Welsa loves going to the office every day because of the quality service her team provides to patients. In her spare time, she likes to hang out with her husband and her two daughters, play volleyball, slow-pitch, read, and workout. Welsa loves showing her creative side by doing face painting! Her family inspires her to always do her best. If there was once person Welsa looks up to, it would be her hardworking and supportive husband. Megan has lived in Grande Prairie since she was a child. As a dental assistant, Megan often works with Dr. Fraser Petersen. After completing her Dental Assistant certificate at NAIT in Edmonton, she has been assisting for over a year. In Megan's spare time, she hosts board game nights to play Dungeons and Dragons. Megan has always loved computer and console video games. She spends a lot of time with her new puppy named Guinness, and her fiancé, John. Also, Megan is learning how to play the piano! Natalie grew up on a farm in Central Alberta and moved to Grande Prairie three and a half years ago. One thing she loves about Grande Prairie is how long the sun stays out in the summer. Natalie attended SIAST Wascana Campus in Regina, Saskatchewan, and graduated in 2010. A few of her hobbies include camping, enjoying a bonfire, spending time with family, hunting, drawing and catching up on her favourite TV series. Natalie would describe herself as outgoing, friendly and “the ultimate animal lover. "As a Registered Dental Assistant, her main responsibilities at work is helping to increase the efficiency of the DDS in the delivery of oral health care. Natalie chose to work at South 40 Dental because they exceeded her expectations. Her favourite part of the job is helping people understand and optimize their oral health. Rosely attended the University of Baguio in the Philippines. She has lived in Grande Prairie for 8 years and has been a sterilization technician for 25 years. One thing she loves about Grande Prairie is the different job opportunities the city provides. Some of Rosely's hobbies include singing, cooking and outdoor activities such as, walking or running. Rosely would describe herself as friendly, approachable, hardworking and funny. Rosely chose to work at South 40 Dental because she wanted to have new experiences and new opportunities. Rosely's main responsibilities at South 40 Dental is maintenance, receiving supplies, and cleaning dental rooms for the next treatment. Ashlie is one of the Registered Dental Assistants at South 40 Dental, and has been with us since we opened! Her role in the office is to ensure patient comfort and education. Ashlie attended the College of the Rockies in Cranbrook, BC. She has many years of experience in the dentistry field. Working at South 40 Dental, she has honed her skills utilizing all the latest technology the clinic offers. She is especially proficient with the CEREC Crown Milling technology, and the iTero Ortho scanner. Ashlie feels that working at South 40 Dental has provided many opportunities to excelling in her Assisting skill set, and loves to help support her team in reaching their goals. What Ashlie loves the most about South 40 Dental is her team. Everyone is there to help each other, which is essential to a successful dental practice. In her spare time, she enjoys yoga, quadding, and going to the movies. She also loves to travel and explore new destinations, and spend time with her family.